You’ve worked hard for your business and have spent countless hours building it from the ground up. That’s something to be proud of. You want your customers to know how hard you work and how dedicated you are to serving them. One way to do that is through professionalism. Professionalism doesn’t stop at good customer service or going the extra mile as you often do. Professionalism is extended to your appearance, too. You don’t want to turn customers off by making it appear as if you don’t care for or take pride in your surroundings. What kind of message does that send? As with any project or maintenance program, it’s important to start with a clean slate. Get the building pressure washed on a regular basis. 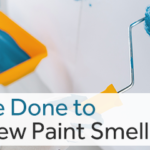 Not only does it remove stuck on grime, dirt, dust, pollen, and other pollutants but it also extends the life of your current paint job. Having a dirty building can make your exterior look grungy and less than desirable. Certain surfaces do better with compatible solutions. That’s why it’s better to hire a professional painter. They know the right combinations to extend the life of your paint while also effectively removing any of the pollutants or stains. Check the exterior of your building on a regular basis. Weather and air pollution can wreak havoc on your paint job. Keep an eye out for stripped paint, faded areas, and other small issues that may need a touch-up or repair. This is the first impression your customers get about your business. Make sure it’s something they feel comfortable pulling up to. Every building has its areas that need to be watched and washed more often. 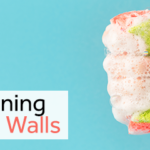 Are you dealing with mold or mildew? How about finding areas that appear to have rusted? Put together a solution of bleach, Epsom salt, and water then give it a good scrub. Of course, if the problem is persistent you may need to get a professional treatment on those areas to prevent damage. Staying up-to-date on your maintenance extends your paint job and also helps you identify trouble areas faster before any damage can set in. It’s important to maintain the caulk for a couple of reasons. The first reason is that it looks nice. It’s an easy way to fill in the gaps. The second reason is that it seals water and cold (or hot) air from getting into the building. If it’s allowed to crack and dry, not only does it look sloppy, but it’s costing you in utilities, and possibly even water damage repairs. Having faulty machinery that leaks can cause damage to your paint job. Dripping air conditioners are enemy number one. Not only does the air conditioner need to be fixed, but you have to have the damage to the walls repaired and repainted. Avoid it all with proper inside maintenance. 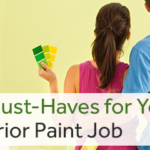 Making sure your paint stays looking good for many years is a blessing to your wallet. Having to repaint too often due to lack of care is like throwing money away. Maintaining it extends the life of your paint beyond its normal expectancy. Predictable upkeep is easier to manage and can be planned more efficiently than having drastic repairs. 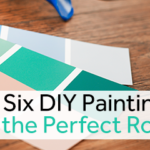 Keeping on top of the condition of the paint can make it more likely you will need more touch-ups rather than having to repaint an entire wall or room. Early detection of any deterioration can only save you money. It can be very time consuming to try to take care of your building, extend the life of your painting investment, and keep the problem areas under control. With everything that needs to be done in your day-to-day business operations, it makes sense to get a professional painting company on board. 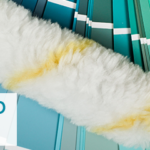 At Atlanta Painting Company, we take pride in our ability to make your business stand out and look professional. Our experienced team can handle both your interior and exterior. Plus, we offer electrostatic painting. It provides a smooth, even finish and is the perfect solution for a crisp clean look. We can also provide professional color consultants to make sure your business represents your brand inside and out. Visit us today to get a free quote.